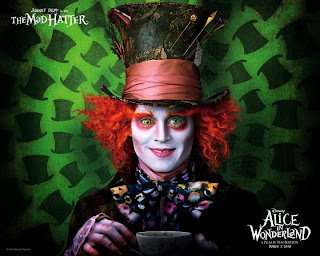 "Alice in Wonderland" is a 2010 American computer animated adventure film directed by Tim Burton, written by Linda Woolverton, and released by Walt Disney Pictures. 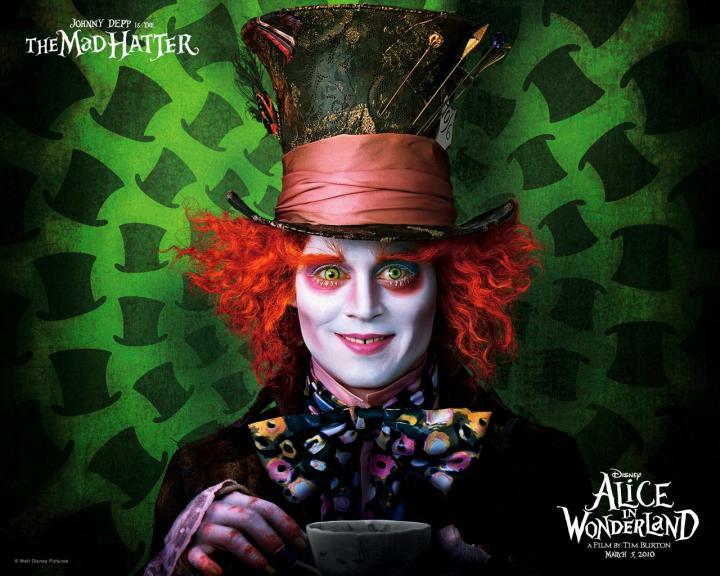 The film stars Mia Wasikowska, Johnny Depp, Helena Bonham Carter, Anne Hathaway, Crispin Glover, Michael Sheen, Leo Bill, and Stephen Fry. 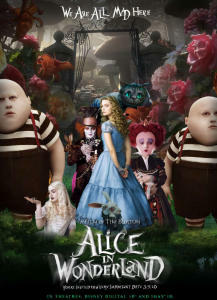 The film is inspired by Lewis Carroll's 1871 fantasy novel Through the Looking-Glass, the sequel to Alice's Adventures in Wonderland. Wasikowska plays the now nineteen-year-old Alice who, 13 years after her previous visit, returns for the first time as a young woman. She is told that she is the only one who can slay the Jabberwocky, a dragon-like creature controlled by the Red Queen who terrorizes Underland's inhabitants.